We have been going down to Nicaragua for the last couple years,and plan to continue our trips down there in the years that come. We help out with an NPO called Light And Salt Ministries and right now they are trying to acquire some laptops and computers. They need a few for staff as well as they would like to get a computer lab up and running for the boys that they serve. 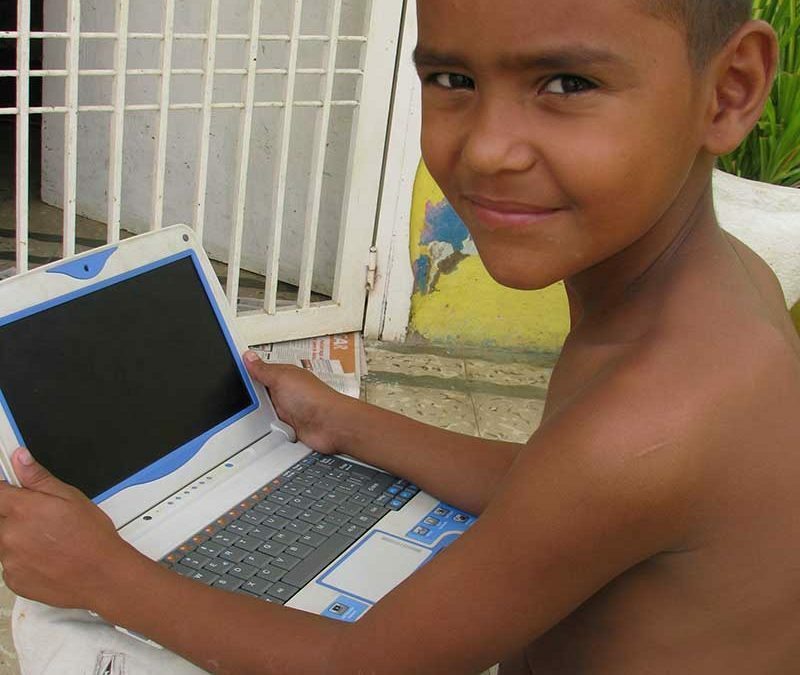 We are asking for a few computers and any laptops that could be donated. 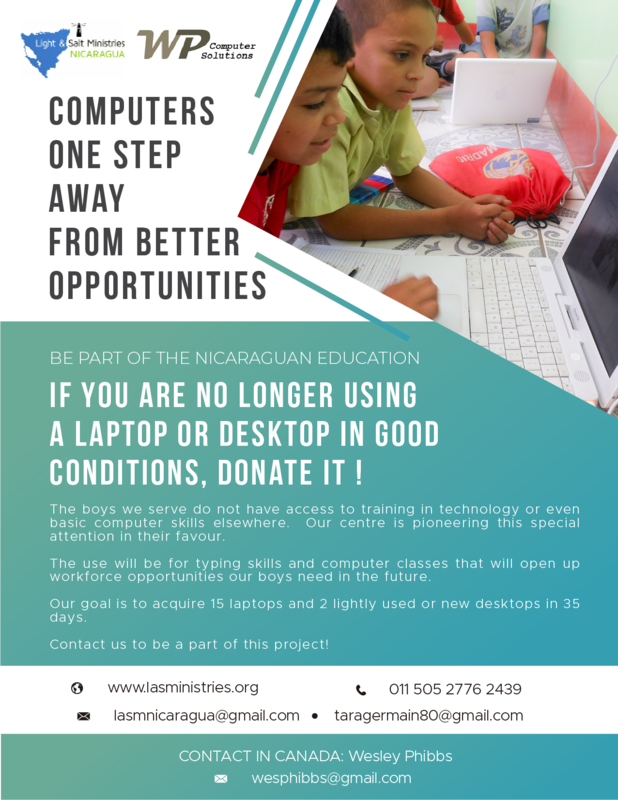 Due to the cost of gathering, fixing and getting the laptops down to Nicaragua we are asking for computers that are in decent shape. That being said, I can help assess your donation to determine if its viable for this project. please contact me directly if you have any questions or have a computer for donation. We have people from Vancouver to Fort St John, so we can try get the gift or ship it to a location.